Marketplace is a second-hand buy and sell market focused designed specifically for the for sailing, surfing and boating community. On the Marketplace you can sell any sailing equipment and items you do not need anymore. At the same time you can search for all kinds of sailing stuff you are lookingkit. All items are categorizated, which makes searching very simple and fast using the filter options. When searching for an items, wherever you are the nearest offers to you actual location are always at the top of the list. To see the directions from your location to the closest seller, just tap to Ad’s Map icon and the fastest/shortest route to your destination will be displayed. Posting Ads to Marketplace – is it Free of Charge? Posting Ads to Marketplace is absolutely FREE OF CHARGE. I want to buy an item I found on the Marketplace, how should I pay and how I will receive the item? You should contact the seller directly and decide the best way to make payment and delivery/collection of the item. We are working to provide a secure online payment/shipment confirmation platform. 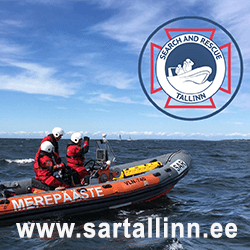 Service Finder helps you to find any service provider you might need wherever you are, such as sailing shops/chandleries, sail makers, boat/RIB rental, private accommodation, restaurants, marines, sailing clubs, boat repairs etc. When searching for service providers, wherever you are the nearest offers to you actual location are always shown at the top of the list. To see the directions from your location to the closest service provider, just tap on the Map icon and the fastest/shortest route to your destination will be displayed. How do you post an Ad to the Service Finder? Click My Nautest. If you are not registered yet, please create an account first. Otherwise Log in to My Nautest and click ‘Add New’ button on left side of the webpage. Follow instructions to post you Ad. How much does it cost to advertise on Service Finder? The price depends on the period of advertisement. The basic introduction (STARTER) package is free for 12 months. If you want to upgrade your exposure you can expand the amount of information published and included more photos/graphics and showcase your service across up to 10 categories. There are 4 Gold Standard packages – 1, 3, 6 and 12 months. We recommend the 12 month package as this includes a banner for 1 week on the Nauest.com website. 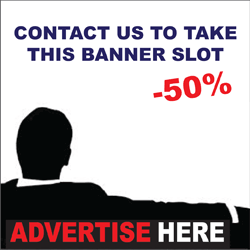 You can enhance your advertisement even further, by paying to for featured advertising on the Nautest seaBay and Service Finder main pages. The pricelist for additional options is shown on the ‘Prices’ section at: www.nautest.com/page/prices. What is the difference between the FREE (Starter) package and GOLD packages for Service Finder Ads? If choosing a Free package then only limited information will be published i.e. name of service, 1 photo, country, city, e-mail and phone number. The location of your business is not displayed on the map. When Gold packages including unlimited information about your business or service (Up to 10 photos, full address, website, e-mail, phone number, location on the map + directions to your business or service, additional information you want to publish about your business. Package GOLD 12 (for 1 year) includes also a banner (250x125px) for 1 week on the Nautest seaBay website! How do I Edit my adverts? Log-in to MyNautest section. Your Ads are located under My Ads section. Choose the Ad you want to edit and click on the Edit link. How do I Delete my adverts? Log-in to MyNautest section. Your Ads are located under My Ads section. Choose the Ad you want to delete and click on the Delete link. There is also the possibility to unpublish your Ad temporarily by clicking on the Deactivate link. How long are my Ads published on Nautest seaBay? Ads on Marketplace are published 1 year or until you deactivate or deleting your Ad. Service Finder Free Ads are also published 1 year from time of posting. GOLD Ads are published according to selected period. When selected period ends, you Ad turns to Free Ad (limited information only). Can I post a banner on Nautest.com website? Please contact with us a detailed information. How can I pay for Service Finder Ad or Featured Ad? You can pay by using credit card or PayPal. There is also the possibility to pay by bank transfer. When paying by credit card or PayPal your Ad will be published immediately your payment is received. If paying the invoice via bank transfer, your Ad will be published only after payment is received to our bank account, which can take 3-7 working days. Is Nautest seaBay available for smartphones too? You bet! Nautest seaBay is available for iPhones/iPads as well as Android phones. The application can be downloaded from AppStore and Google Play.